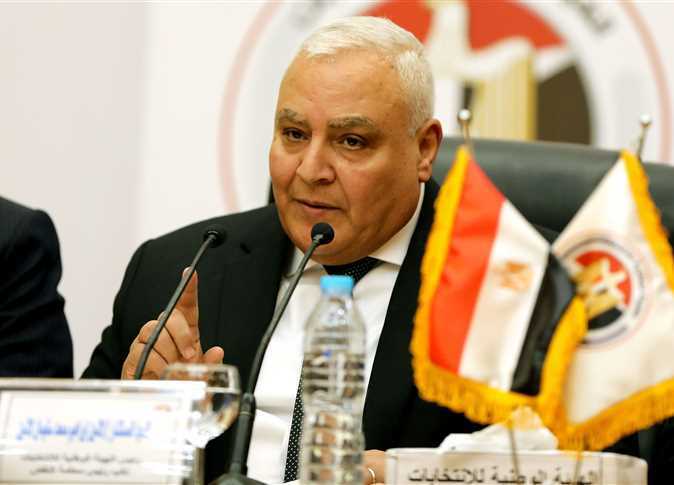 Egypt's newly-appointed Trade Minister Amr Nassar - CCCAIRO - 24 April 2019: A second round of negotiations between Egypt and the Eurasian Economic Union (EAEU) member states on a free trade agreement will wrap up in Moscow on Wednesday.The talks were held for three days, said a statement by the Ministry of Trade and Industry.The free trade zone comes in implementation of an agreement reached between President Abdel Fattah El Sisi and head of the Eurasia economic commission Tigran Sargsyan during talks held in Moscow last October, according to the statement.The talks took up the issues of customs cooperation, trade movement and rules of origin along with competition and prevention of monopoly, added the statement.The agreement will help increase trade between Egypt and EAEU countries.The EAEU, which includes Armenia, Belarus, Kazakhstan, Kygryzstan and Russia covers the bulk of the Eurasian land mass and is geographically placed between the European Union and China. The EAEU has a population of some 183 million and a GDP of some US$5 trillion. Cairo's Attaba Metro Station - Photo by Karim Abdel Aziz/Egypt TodayCAIRO - 24 April 2019: Transport Minister Kamel el Wazir met Wednesday with a delegation of South Korea's Hyundai Rotem to discuss metro train deals.The meeting took up a contract to be signed between the National Authority for Tunnels and Hyundai Rotem, under which the South Korean company should supply the Egyptian authority with six metro trains to support the second metro line's fleet.Hyundai Rotem had previously supplied the authority with 20 trains.The meeting also took up a deal to import 32 new trains for the third metro line.Under the signed agreements, Hyundai Rotem should continue to maintain the trains for eight years after the warranty period ends. Ministers partake in a Cabinet meeting - Press PhotoCAIRO, April 24 (MENA) - The Cabinet information center on Wednesday denied reports on privatizing the new comprehensive health insurance system.The center explained in a press statement that it contacted the Ministry of Health which denied the reports confirming that no privatization for the new system is planned.The ministry explained that an agreement was signed with some major private hospitals for the purpose of serving the new system and transferring their experience to the ministry's cadres.These reports are meant to stir public discontent, said the ministry, urging the Egyptian people not to heed such kind of rumors. Factbox: Reaction to Sri Lanka attacksCOLOMBO, April 24 (MENA) - The death toll from the Easter Sunday suicide bombing attacks on churches and hotels in Sri Lanka rose to 359, Channel News Asia reported Wednesday.Police spokesman Ruwan Gunasekera released the toll but did not give a breakdown of casualties from the three churches and four hotels hit by suicide bombers.The toll had been put at 321 on Tuesday, with about 500 people also wounded. Ukrainian presidential candidate Volodymyr Zelenskiy reacts following the announcement of the first exit poll in a presidential election at his campaign headquarters in Kiev, Ukraine April 21, 2019. Another $5.5 billion (about 4 percent of GDP) must be repaid in 2020.But Ukraine’s patchy reform efforts led to repeated delays in its previous IMF program that ended up disbursing only $8.7 billion of a planned $17.5 billion.That was replaced by a new $3.9 billion Stand-By Arrangement (SBA) in December. While Kiev hopes for another tranche of that money as early as next month, investors will want to see a fuller program put back in place soon.It could be an interesting negotiation. How the Russian-speaking Zelenskiy handles Ukraine’s relationship with Moscow will go a long way to determining the success of his term in office.He has already suggested taking a fresh perspective to try to secure peace with Moscow, while pushing ahead with European Union-friendly moves. Improved relations could help it regain control over the separatist-controlled east, as well as cheap gas and major investment, a Kremlin ally in Ukraine said last week. ""Motion pictures released in nontheatrical media on or after the first day of their Los Angeles County theatrical qualifying run remain eligible. "We support the theatrical experience as integral to the art of motion pictures, and this weighed heavily in our discussions," Academy President John Bailey said in a statement. "Our rules currently require theatrical exhibition, and also allow for a broad selection of films to be submitted for Oscars consideration. We plan to further study the profound changes occurring in our industry and continue discussions with our members about these issues. "Despite the hostility, Netflix has attempted to find space and allies within the Hollywood establishment. China became the first nation to land a rover on the far side of the moon when its Chang'e-4 touched down in January China National Space Administration (CNSA) via CNS/AFPBeijing (AFP) Beijing plans to send a manned mission to the moon and to build a research station there within the next decade, state media reported Wednesday, citing a top space official.China aims to achieve space superpower status and took a major step towards that goal when it became the first nation to land a rover on the far side of the moon in January.It now plans to build a scientific research station on the moon's south pole within the next 10 years, China National Space Administration head Zhang Kejian said during a speech marking "Space Day", the official Xinhua news agency reported.He also added that Beijing plans to launch a Mars probe by 2020 and confirmed that a fourth lunar probe, the Chang'e-5, will be launched by the end of the year.Originally scheduled to collect moon samples in the second half of 2017, the Chang'e-5 was delayed after its planned carrier, the powerful Long March 5 Y2 rocket, failed during a separate launch in July 2017.China on Wednesday also announced its Long March-5B rocket will make its maiden flight in the first half of 2020, carrying the core parts of a planned space station.The Tiangong -- or "Heavenly Palace" -- will go into orbit in 2022, the China Manned Space Engineering Office said.It is set to replace the International Space Station -- a collaboration between the United States, Russia, Canada, Europe and Japan -- which is due to be retired in 2024.Beijing last week also said it would launch an asteroid exploration mission and invited collaborators to place their experiments on the probe.The current Chang'e-4 moon lander carried equipment from Germany, the Netherlands and Sweden.China now spends more on its civil and military space programmes than do Russia and Japan, and is second only to the United States. Although opaque, its 2017 budget was estimated at $8.4 billion by the Organization for Economic Cooperation and Development. North Korean leader Kim Jong Un disembarks from a train during a welcoming ceremony at a railway station in the far eastern settlement of Khasan, Russia April 24, 2019. The meeting is likely to focus more on showing camaraderie.HONOR GUARDVladivostok is located a few hours from the Russian-North Korean border by rail, Kim’s preferred mode of international transport.On arrival in the city, the North Korean leader reviewed an honor guard of Russian troops in a square in front of the train station, with bodyguards looking on. He removed his black fedora while a military orchestra played first the North Korean national anthem, then the Russian anthem.After officials from the Russian and North Korean delegations exchanged handshakes, Kim climbed into a black limousine and drove off. This meeting is important for Russian international prestige,” Lukin said.Putin held a summit in 2002 with Kim Jong Un’s father and predecessor, Kim Jong Il, who also met in 2011 with Dmitry Medvedev, the Putin lieutenant who was then Russian president.The venue for the summit is a sports complex at the Far Eastern Federal University, which also played host in 2012 to an Asia-Pacific Economic Cooperation summit.The sports complex at the university was closed on Tuesday and workers were seen bringing in furniture, a Reuters TV crew reported. Security guards at the entrance to the campus were searching vehicles as they drove in. President of the National Elections Authority (NEA) Lasheen Ibrahim announced on Tuesday the results of the referendum on the constitutional amendments. More than 23.4 million voters voted in favor of the amendments, constituting 88.83 percent of the valid votes, Ibrahim said during a press conference last night. According to NEA statistics, 27,193,593 Egyptians casted their votes out of about 61 million Egyptian eligible voters, representing 44.33 percent of eligible voters. He stressed that the constitutional referendum came out in the most appropriate form for the future of Egypt and its aspirations for tomorrow. 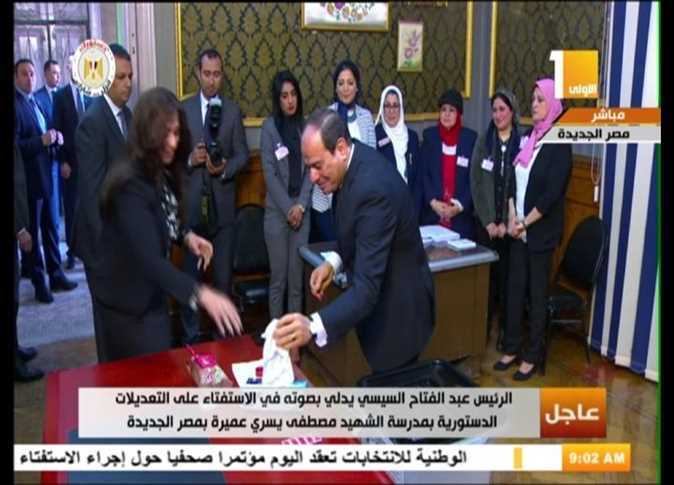 Egypt’s House of Representatives passed the constitutional amendments after voting on them during a plenary session on Tuesday, April 16. Domestic workers in Lebanon are excluded from the labour law, and instead obtain legal residency though their employers’ sponsorship under the so-called “kafala” system. 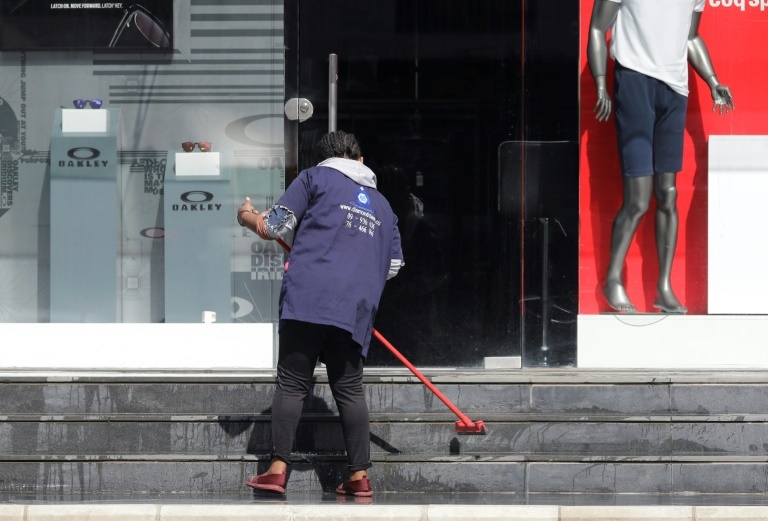 “Amnesty International is calling on the Lebanese authorities to end the kafala system and extend labour protections to migrant domestic workers,” the London-based rights group said. Lebanon hosts more than 250,000 registered domestic workers from countries in Africa and Asia, the vast majority of them women. Only four of those interviewed had private rooms, while the rest were relegated to living rooms, storage rooms, kitchens or balconies. In 2008, Human Rights Watch found that migrant domestic workers in Lebanon were dying at a rate of more than one per week from suicide or in failed escapes. 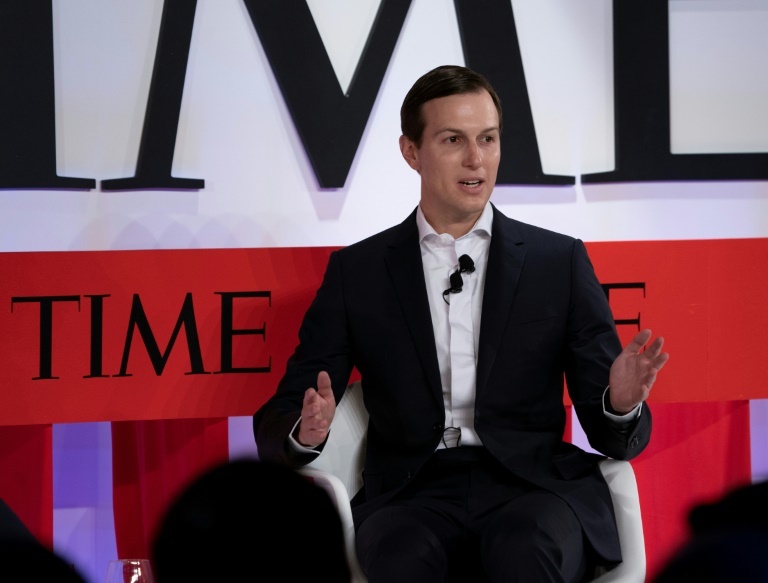 But Kushner, whose own role has been questioned due to his longstanding family ties with Netanyahu, said he remained hopeful that his “unconventional approach” would bear fruit. 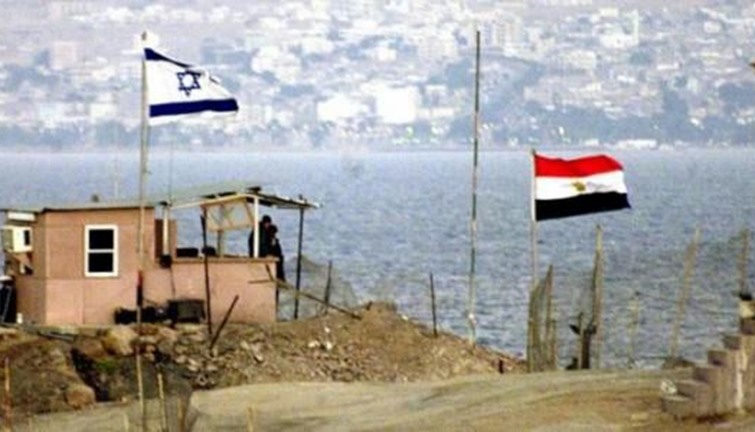 He declined to answer if the plan would include longstanding US support for a Palestinian state, after hints by the administration that it would not, but said it would include investment to boost the Palestinian economy. Netanyahu in his election campaign vowed to annex parts of the West Bank where Israeli settlers live, a prospect that would doom longstanding Palestinian hopes of a state. Kushner has also cultivated close personal ties with Saudi Arabia’s crown prince Mohammed bin Salman as part of his efforts to forge regional backing for his plan. Kushner sidestepped a question Tuesday about reports that the US intelligence services had concluded that the prince had ordered the journalist’s murder. 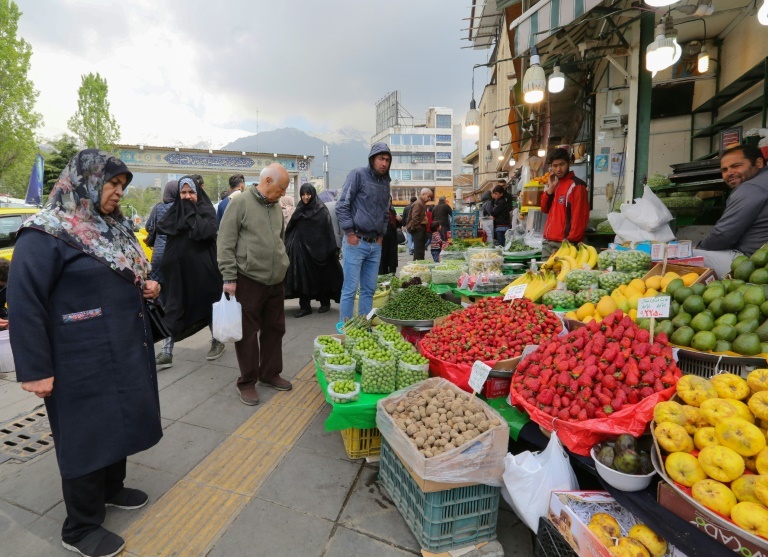 Iranians, already hard hit by punishing US economic sanctions, are bracing for more pain after Washington abolished waivers for some countries which had allowed them to buy oil from Iran. Analysts have put Iran’s oil exports in March at around 1.9 million barrels a day, while the Central Bank had forecast revenue from oil sales in 2019 at around $10.57 billion. AFP / ATTA KENARE Washington has announced that it is ending waivers which allowed some countries to buy Iranian oilAFP / ATTA KENARE This has caused “the class gap to really widen. As ordinary citizens, we already expect prices to rise further” if oil exports reach zero, she added. “America’s dream for bringing Iran’s oil exports to zero will not be realized,” he told lawmakers on Tuesday, ISNA reported. Afghan civilians are for the first time being killed in greater numbers by US and pro-government forces than by the Taliban and other insurgent groups, a UN report released Wednesday revealed. It is the first tally since records began that shows pro-government forces have killed more civilians than insurgents have, though insurgents were responsible for more than twice as many injuries as were pro-government forces. “We reserve the right of self-defence of our forces as well as the Afghan Security Forces,” Butler said in a statement. “Anti-government elements need to stop deliberately targeting civilians … pro-government forces are called upon to take immediate measures to mitigate the rising death toll and suffering caused by air strikes and search operations,” he added. 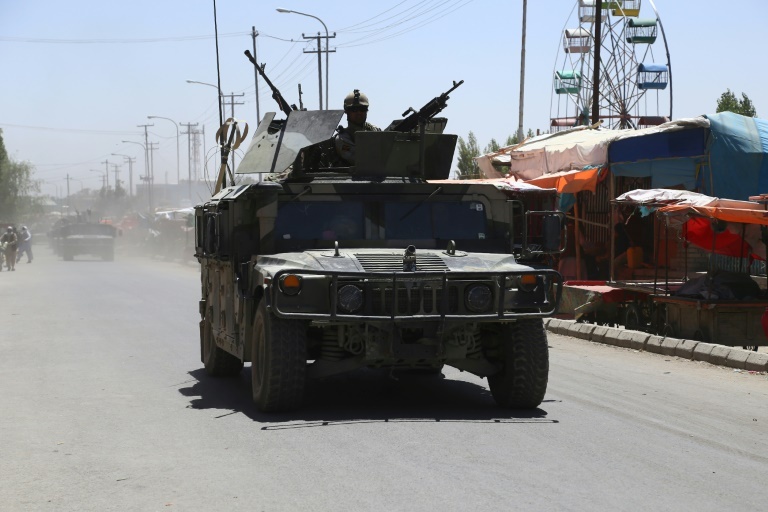 Last year was the deadliest yet for Afghan civilians, with 3,804 killed, according to UNAMA. FILE PHOTO: An employee sorts gold bars in the Austrian Gold and Silver Separating Plant 'Oegussa' in Vienna, Austria, December 15, 2017. REUTERS/Leonhard Foeger24 April 2019: Gold miner Centamin reported first-quarter production that exceeded its forecast and stuck to its annual output target as it ramped up drilling at its Sukari mine in Egypt.The company’s output totalled 116,183 ounces of gold for the three months ended March 31, above its forecast range of 105,000 to 115,000 ounces.But that was lower than a year earlier when its production came in at 124,296 ounces of gold.“Despite being the weakest quarter forecasted for 2019, it is encouraging to see the systems and process upgrades across all sections of the mine positively impacting performance,” Chief Executive Officer Andrew Pardey said.Unit cash costs jumped 9 percent to $631 per ounce of gold produced, in keeping with its tone in February when it warned of higher costs due to increasing input costs and rising fuel, reagent and consumable prices.